Using 4 stackable play boards, the [MU]table multi-functional play table allows children to enjoy their favorite toys and games. Like the idea? Let’s keep checking. 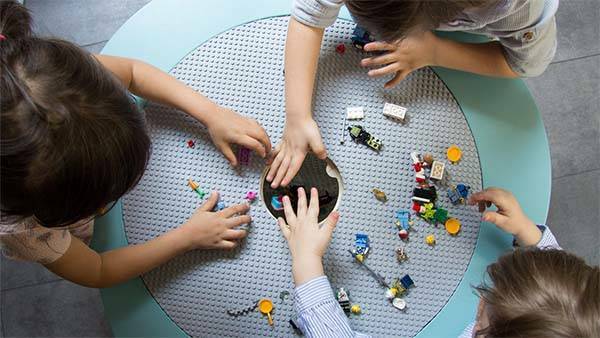 The [MU]table is a well-crafted and versatile play table designed for children up to 8 years old. As we can see from the images, the play table shows off a cute, stylish and compact appearance design, and five bright color options allow it to meet children’s aesthetic tastes. 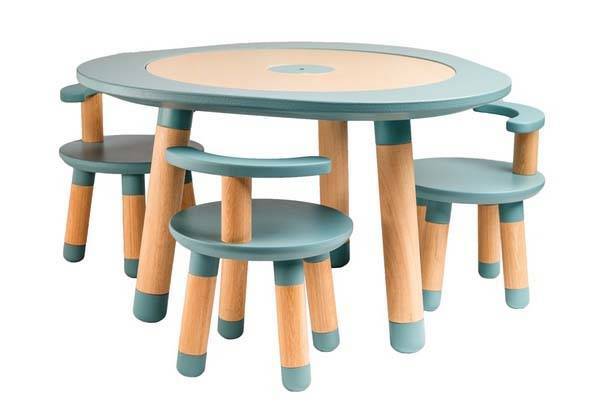 Meanwhile, the play table is made from wood for durability, and round tabletop and legs prevent children from contusions when they collide with the table. The play table features 4 double-sided playboards that stack on the top of each other. The blackboard allows children to doodle with chalks, and the magnetic board works perfectly with various magnetic toys. Two baseplates allow children to build various models with LEGO Duplo and LEGO Classic. Moreover, using a city landscape playset, a natural landscape playset and a puzzle base, [MU]table brings more fun to your children, and a flat wooden cover allows it to work as a usual table. Furthermore, the play table also features a removable bag. Using the hole at the center of the table, your children can easily throw their toys in the bag, keeping the room organized and clean when playtime is over. 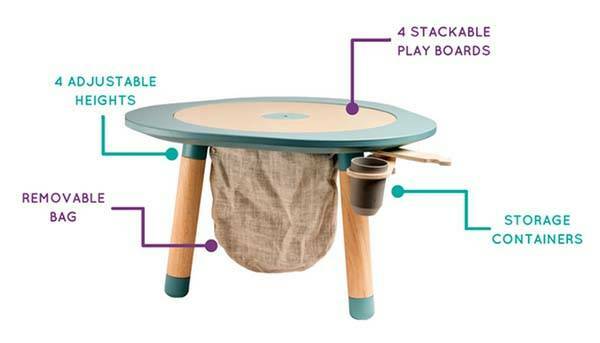 In addition, the play table comes with a cup-like storage container, and the table’s height is adjustable to fit for different kids. Apart from these, optional chairs perfectly match [MU]table, and they also adjust to the four different heights. The crowdfunding campaign for [MU]table is ongoing on Kickstarter. You can pledge €149 (approx US$158) to preorder the play table. It would be shipped in October 2017 (estimated) if reaching its funding goal.